Last night I had the great pleasure of judging a speech competition at a local elementary school. And I’m sure I’ll catch some flack for saying this, but I’m going to say it. Except for the bright kids in the magnet schools – most of the kids in our public schools are those whose parents can’t afford private tuition and those who require services that private schools don’t offer. We’re talking the lower end of the socio-economic spectrum and the Special Ed kids. It is what it is. In the years I’ve worked with speech competitions, I’ve coached kids for whom English isn’t their first language (sometimes it’s not even spoken in their homes). Hearing-impaired and autistic students. Children whose parents couldn’t afford to buy a costume prop so their child could look a little like Abraham Lincoln when delivering an excerpt from the Gettysburg Address. But they practice and work hard, and a lucky few score high enough in their classroom competitions to make it to Speech Night. So last night, when Rick (not his real name) stepped up on the stage, I took a breath. He embodied every stereotype of a bullied kid – heavy-set, pale-skinned, lumbering on the stage awkwardly. While the other boys had costumes or trendy attire, he had his collared shirt neatly tucked in, and was wearing a belt. Fifth grade boys don’t tuck their shirts in and wear belts when they have a choice. He looked out of place. He looked different. He approached the microphone and introduced himself and his speech. 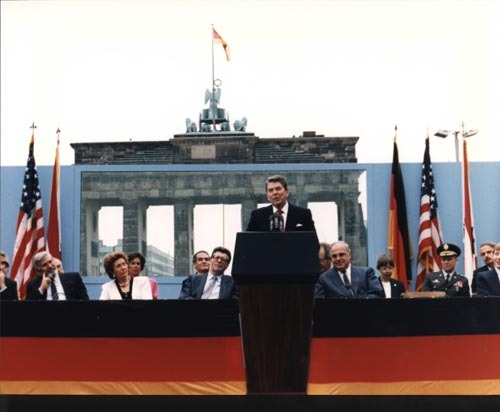 He would be delivering a passage from Ronald Reagan’s “Tear Down That Wall” speech in Berlin. Big shoes for an awkward kid. The Gipper would have been proud. He paused after his introduction, and words started pouring out of his mouth with an eloquence I cannot describe. His clumsiness disappeared, and chills ran through my body. All of the awkwardness was gone, replaced with confidence and conviction. He delivered the speech, and applause filled the room. And I realized that moment just might be a defining moment in this boy’s life. The other contestants delivered their speeches, and the scores were being tallied while the nervous students waited. It was the moment of dread, where a handful of students were to be declared winners, and others would go home trophy-less and disappointed. Rick was the winner. First place. He seemed a little stunned, and not quite sure how to handle himself with all the applause and praise. You see, Rick is autistic. The playing field for him runs uphill. But last night, on the big stage in his school, he was The Best. Better than the athletic boys, better than the well-spoken girls. As I looked over at the chairs where the kids who didn’t win were sitting, I saw a boy with his face in his hands, crying in front of his classmates and teachers. His speech had been from his idol, a professional athlete from our home town. And he really thought he was going to win. Then I saw Rick. Beaming. That other boy will have lots of trophies before he grows up, but this might be one of the only big wins for Rick. This trophy that he earned in fifth grade might be the motivation he needs to try harder, to overcome more. This trophy will mean the world to him. 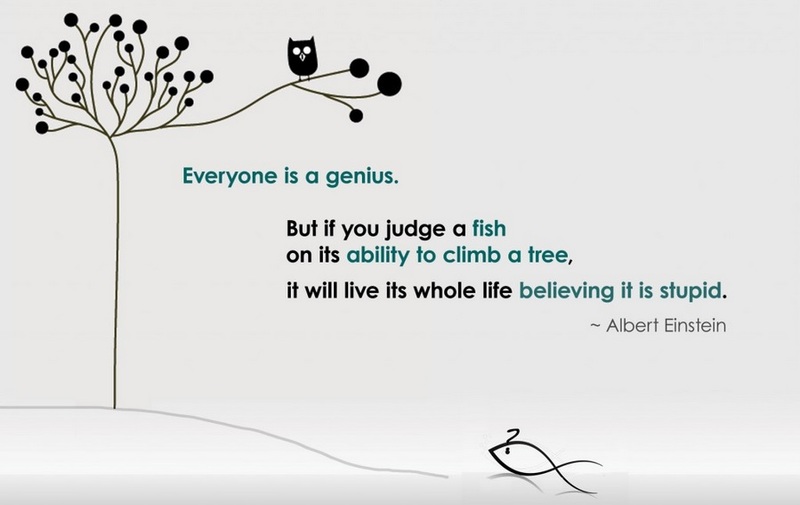 Because a little validation goes a long way, even for kids. And last night, the judges, his teachers, and the world (at least the world as he knows it) said he was The Best. I hope today he greets his classmates with a new-found confidence. I hope today he takes on his schoolwork with a little more energy. I hope the smile that he left the auditorium with last night doesn’t leave his face for a long, long time. I hope he remembers what it feels like to be The Best. This entry was posted in The Lucky Mom and tagged Autism, Boys, Education, Ronald Reagan, Speech Night, Validation on November 16, 2012 by Lisha Fink.